The tone always comes out where you don’t expect it! 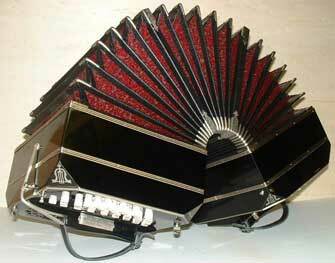 New bandoneon by Belgium maker Harry Geuns. When I first heard the sound of a dozen bandoneons playing together, I was blown away. It was at the Stowe Tango Music Festival where, at the end of a weeklong bandoneon workshop, the students performed for tango dancers. They played together with the other musicians of a grand tango orchestra: violin, viola, cello, piano and double bass. The bandoneons made the orchestra sound like force of nature. 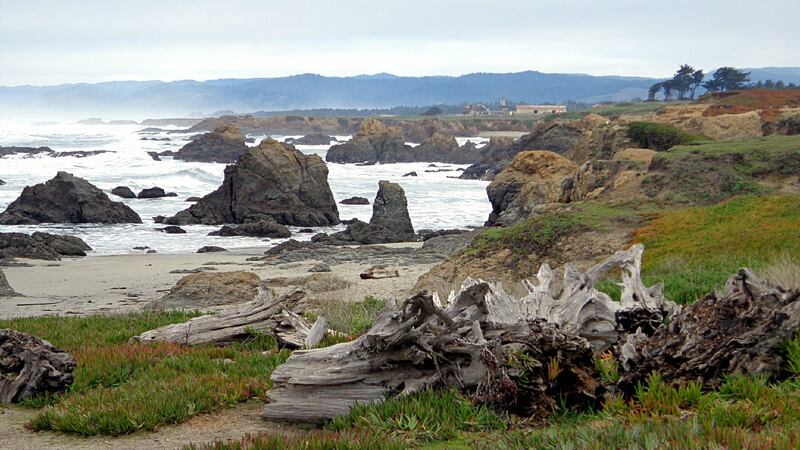 My ears perked up, I stopped my conversation, and leaned towards the stage. I had heard the bandoneon countless times, unwittingly anticipating its characteristic sound in many tango pieces. But this time I was completely unprepared for the gripping sound of twelve bandoneons playing together. It grabbed me from within, sending shivers down my spine on that warm August night. 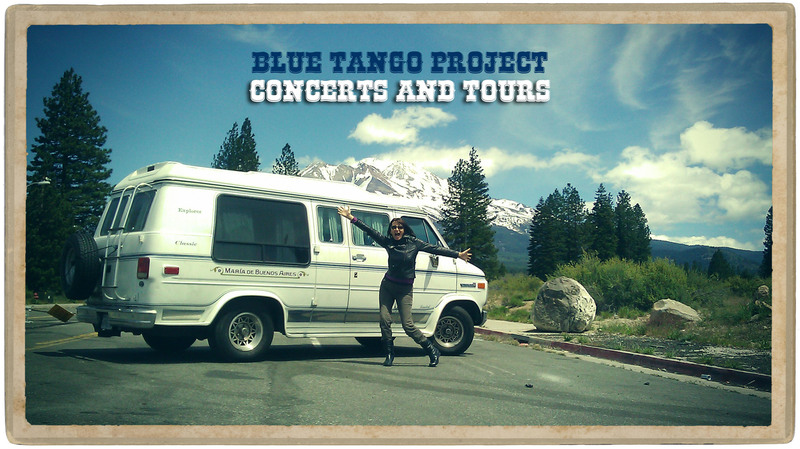 I felt the same excitement that so many tango lovers must have felt before me. Author andreaPosted on July 19, 2018 November 5, 2018 Categories tango musicTags bandoneon, Hector del Curto, instruments10 Comments on So what’s with the bandoneon? On January 28 the tango world was rocked by a major event: the Pablo Ziegler Trio’s album, Jazz Tango, won the 2018 Grammy Award as best Latin Jazz Album. It was the first time that tango was awarded a prize by the Recording Academy — and the first time the larger music world became aware of the importance of a genre it had previously regarded as marginal. 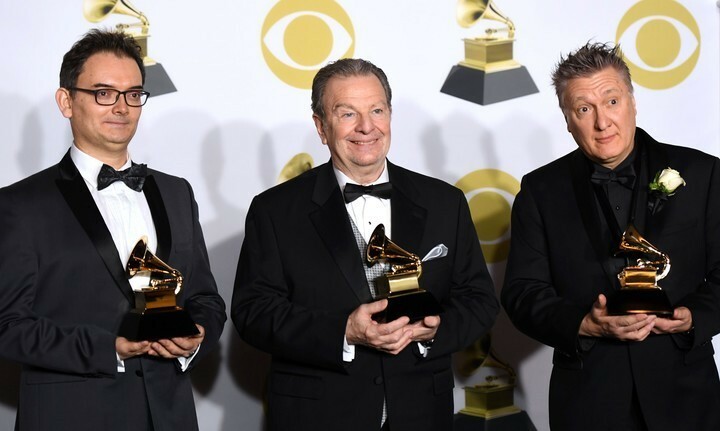 I spoke with bandoneonist Héctor Del Curto — who, together with pianist Claudio Ragazzi and founder Pablo Ziegler, completes the Pablo Ziegler Trio — about winning the Grammy Award. Héctor is one of the most sought-after bandoneonists, having played with Osvaldo Pugliese and Astor Piazzolla among others. Héctor and his wife Jisoo Ok are also the founders of the Stowe Tango Music Festival. Author andreaPosted on February 10, 2018 November 5, 2018 Categories tango musiciansTags Grammys, Hector del Curto, Pablo Ziegler, Tango Jazz5 Comments on Tango wins a Grammy! “You have to teach Liam Neeson!” the caller urged her. It was nobody less than Marcos Questas. “He does not know one step!” he continued. Well, an urgent request by Maestro Questas from LA means you don’t think twice! On the receiving end of the line was Karina Romero, a veteran teacher among the New York Argentine tango community. She was trying to grasp what she had just heard: she had been asked to coach one of Hollywood’s biggest stars for an upcoming movie! Questas, a sought-after choreographer for film and television (he worked on the Latin Grammy Awards), had a problem. He had been signed as the choreographer for a prominent tango scene in a high-profile spy thriller about the Watergate scandal by Peter Landsmann — Mark Felt: The Man Who Brought Down the White House. He had already started rehearsing the dance scene with Diane Lane, who plays Liam Neeson’s wife in the movie. But he urgently needed an instructor at the other end of the country in New York, where Neeson lives, to train him for his part. Questas knew about Karina Romero through Carlos Copello, the grand master of tango (Forever Tango, The Tango Lesson, Assassination Tango). Being part of Copello’s circle means being part of an exclusive network of tango professionals who can trust one another. 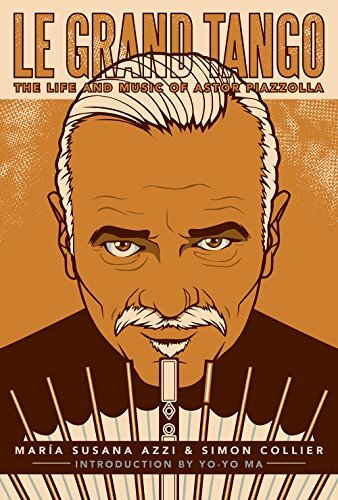 Mrs Azzi is the co-author of Le Grand Tango: The Life and Music of Astor Piazzolla, a detailed biography that may represent the most comprehensive work about the composer’s life and work to date. Surprisingly, the book first appeared in the year 2000 in English, published as a hardcover edition (it was a few years before e-books became common) by Oxford University Press. It says a lot about Piazzolla’s reputation in Argentina that a Spanish edition was published only later after many translations into other languages had appeared. When, a few weeks from now in the heat of the South American summer, the lights go up in the Centro Cultural Kirchner in Buenos Aires, one of the most unique music competitions will begin: the first ever International Contest for New Tango Ensembles. Ten out of an initial fifty-five orchestras from nine different countries will enter the stage of the CCK — the biggest cultural center in Latin America — to compete as finalists in a musical genre which, until not too long ago, has been seen as a thing of the past. It will be the grand finale of a week-long gathering of tango musicians who will have participated in a study program called Tango Para Músicos. 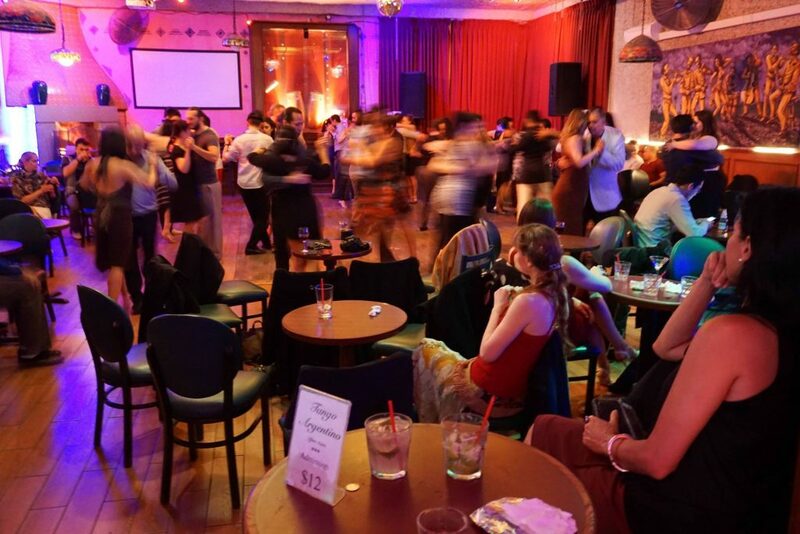 Musicians from all over the world are expected to attend six days packed with learning and playing tango. Tango Para Músicos will offer these aficionados a broad variety of classes where they will have a chance to study with some of the masters of modern tango, such as bandoneon instructor Eva Wolff, tango singing-instructor Noelia Moncada, and Exequiel Mantega who teaches orchestration. Participants can choose from eighty modules of instrument classes and fifty modular classes for arrangement, composition, production, musical training, and more. The classes are open to basically all instruments, including vibraphone, clarinet, saxophone, and, of course, all string instruments. In past years even two ukuleles have participated. Drums, on the other hand, have not been part of the course (yet). The public is invited to attend free nightly concerts, milongas, and practicas. The ‘icing on the cake’, however, is certainly going to be the above-mentioned and much-anticipated International Contest for New Tango Ensembles.